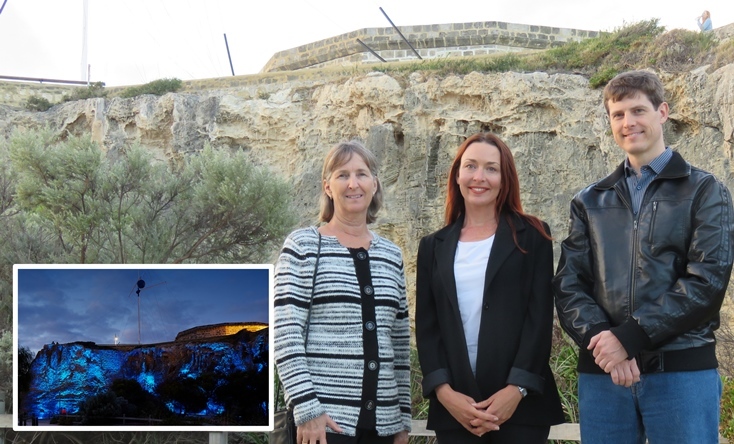 Fremantle’s Round House cliffs, Victoria Hall and the Moores Building will be illuminated in blue on Saturday night to raise awareness of a debilitating illness that affects millions of people. Dozens of landmarks around Australia and the world will be lit up as part of the May12th International ME/CFS Awareness Day, a global day of action to draw attention to draw attention to myalgic encephalomyelitis, also known as chronic fatigue syndrome. Fremantle councillor Rachel Pemberton, whose sister has the illness, said there was a substantial deficit in knowledge about the disease. “ME/CFS is a genuine and disabling illness that can leave people stuck at home or bed bound for many months or years,” Cr Pemberton said. “Many healthcare providers are sceptical about the seriousness of ME/CFS, and they often mistake it for a mental health condition or consider it a figment of the patient’s imagination. “Misconceptions or dismissive attitudes from the medical profession make diagnosis and treatment a very long and frustrating process for many patients like my sister. There will also be an event at noon on Saturday at Fremantle’s Pioneer Park, featuring a display of more than a hundred empty shoes. The shoes are to represent the sufferers of ME/CFS who are missing from work, study, sports and social events because of the illness. For more information visit the may12th.org.au website.